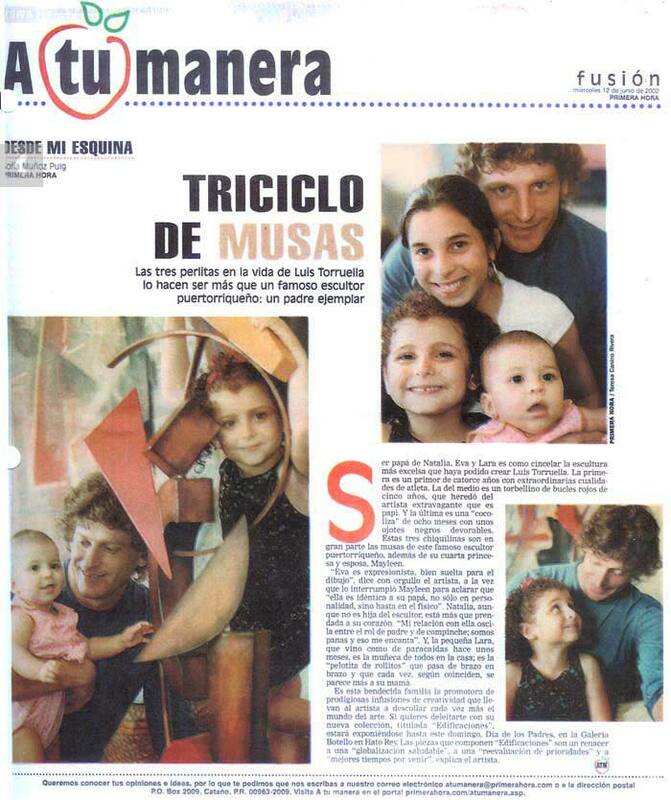 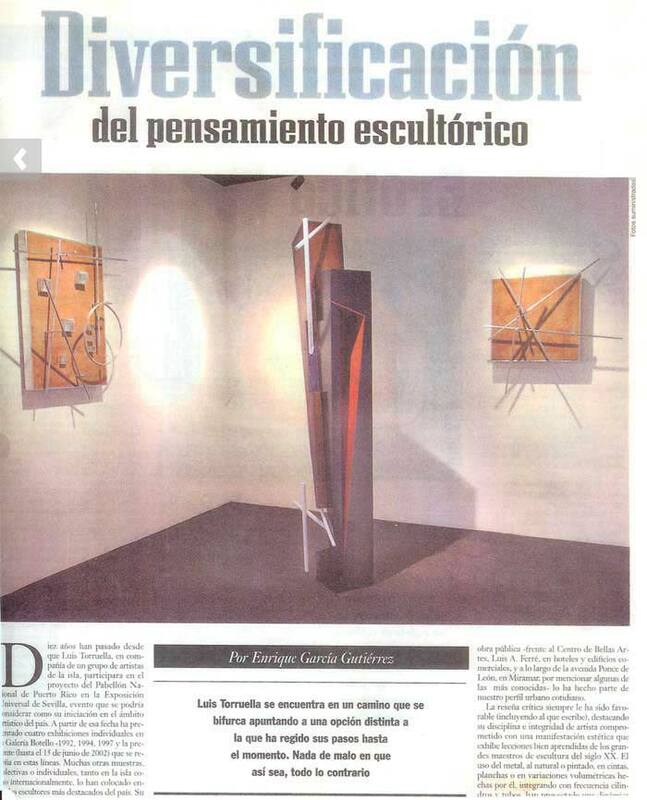 Sculptor Luis Torruella - Press Reviews. 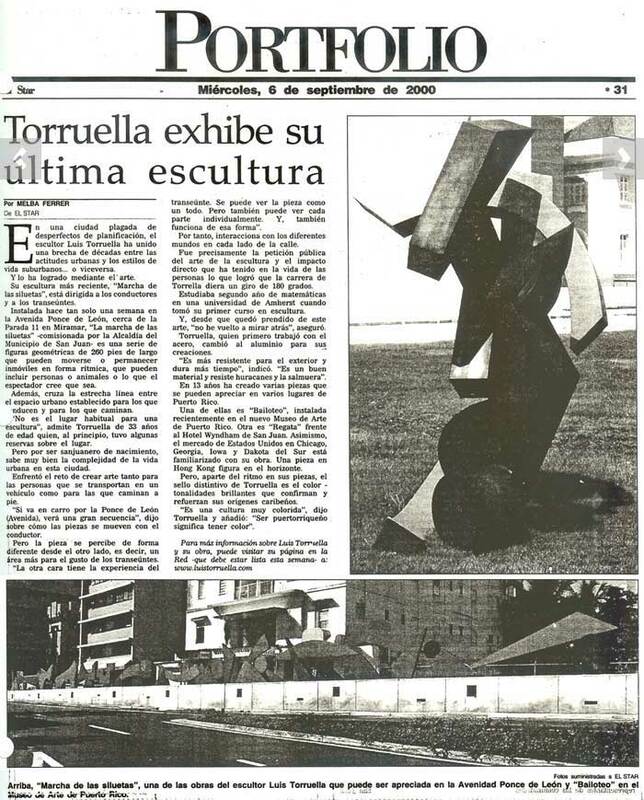 This work (Edificaciones) marks the recurrent return of this artist to the privacy of the small format, to counterpoint with his monumental sculpture. 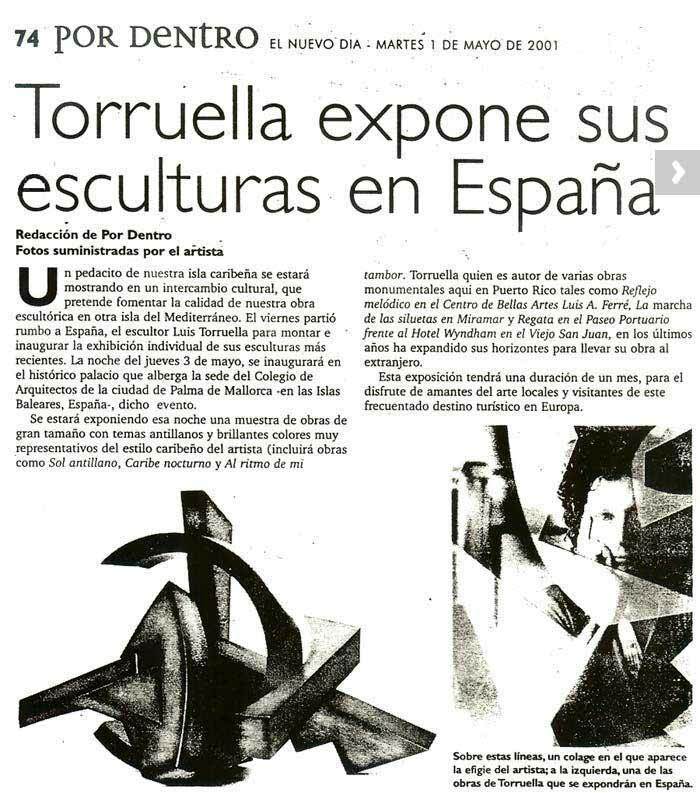 Many other samples, collective and individual, as much in the island as internationally, have placed him between the most distinguished sculptors in the country. 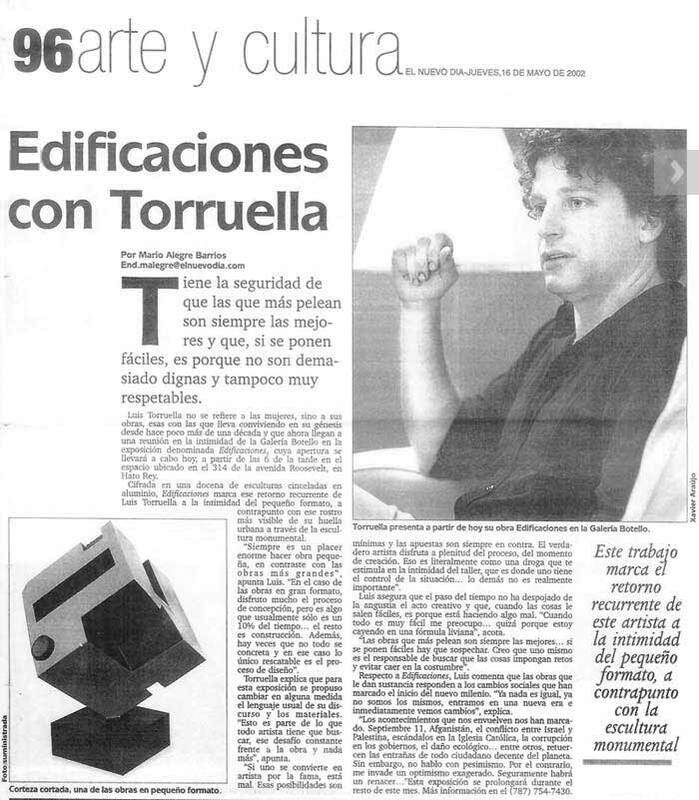 In his first exhibition, I commented that, in spite of his young age, Luis Torruella presented works that manifested ‘conceptual maturity and a technical discipline that augured a promising career’ and I believe that I was not mistaken. 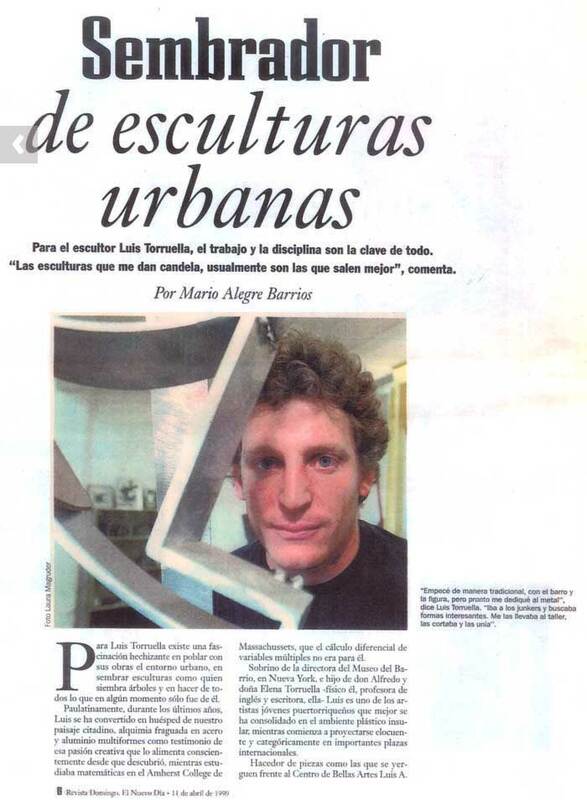 In a city plagued with design flaws, the sculptor Luis Torruella has united a breach of decades between urban attitudes and suburban lifestyles… and has obtained it by means of art. 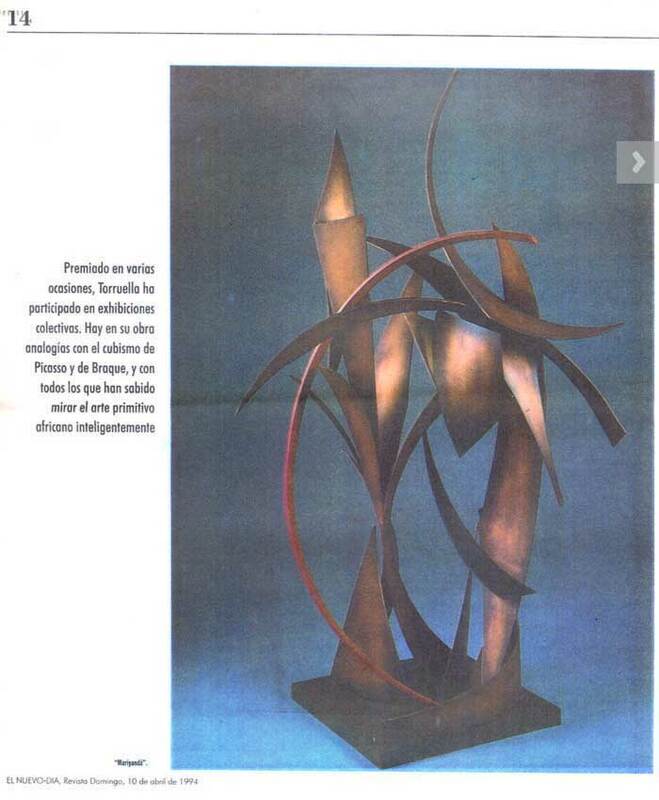 … the sculpture Ajedrezado, by Luis Torruella, occupies a prominent place within the new city. 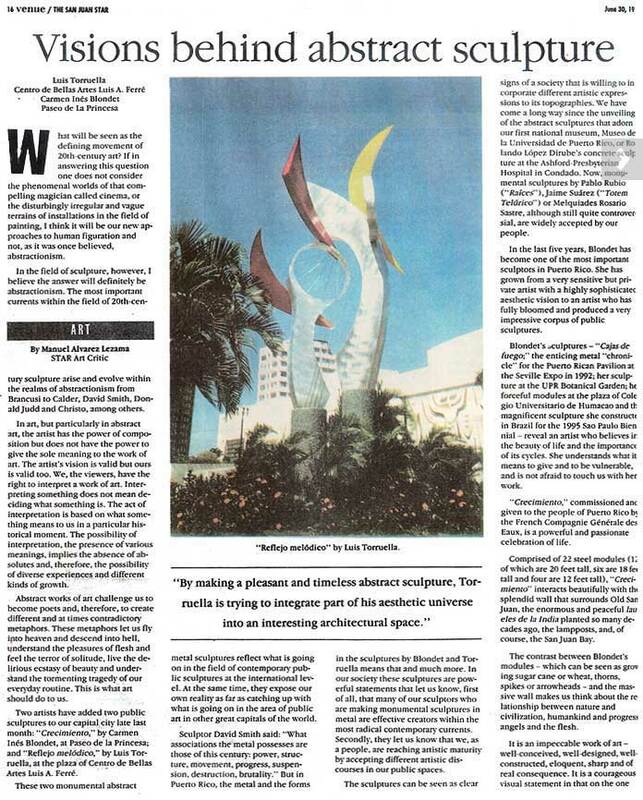 This sculpture has become a distinguished element of City View Plaza. 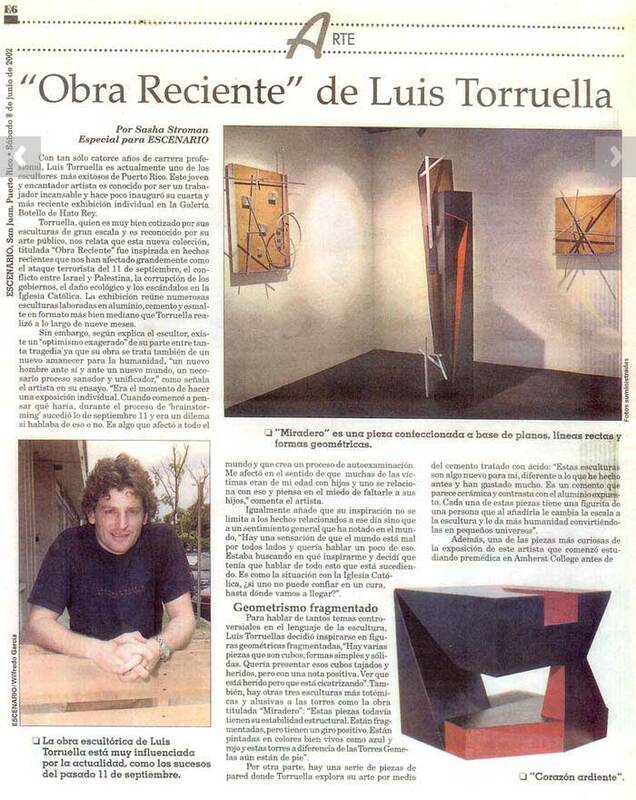 Luis Torruella is a dedicated artist; honesty, discipline and professionalism are the pillars of his work. 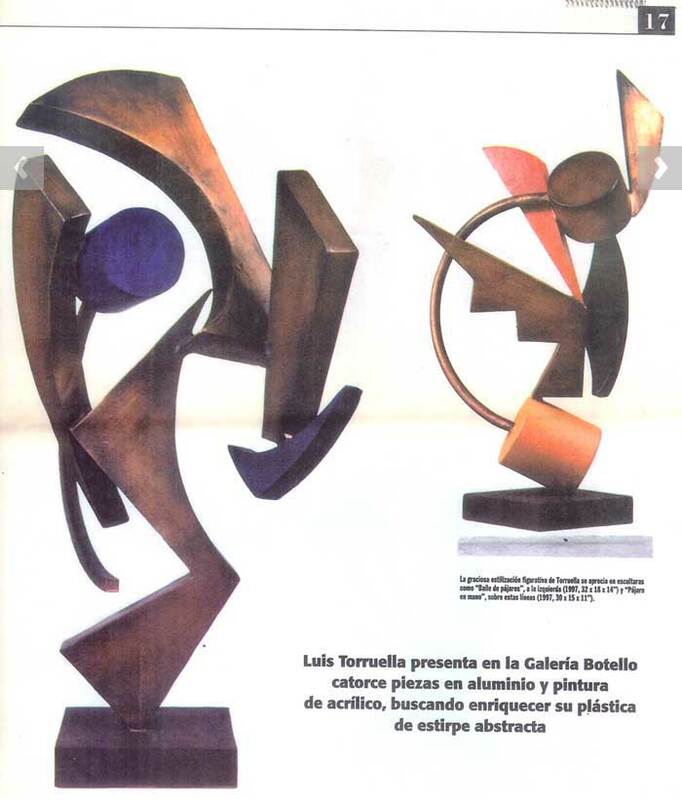 His sculptures are intense, lyrical compositions that go from the strictest geometrical organization to a free and spontaneous irregularity that approaches the accidental. 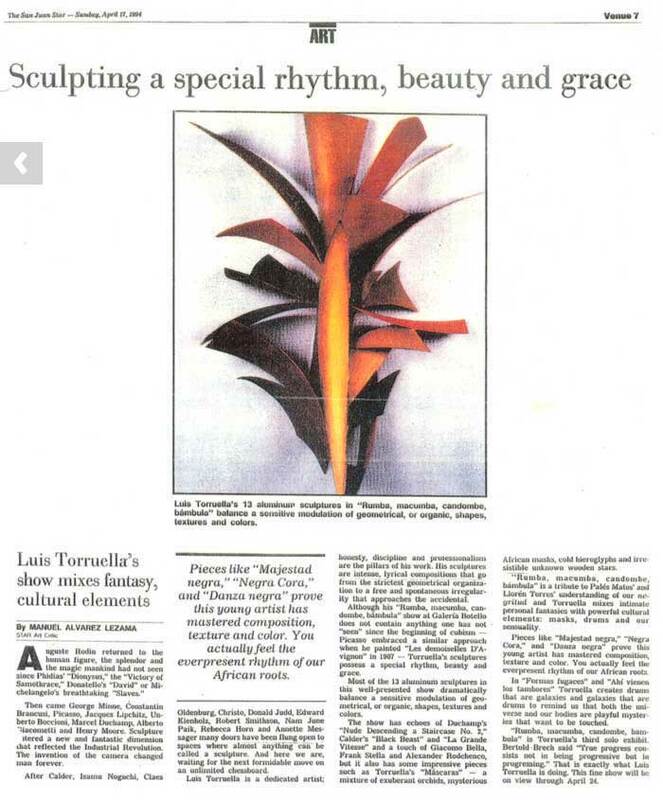 … Torruella is certainly one of the most promising artists of the new generation.